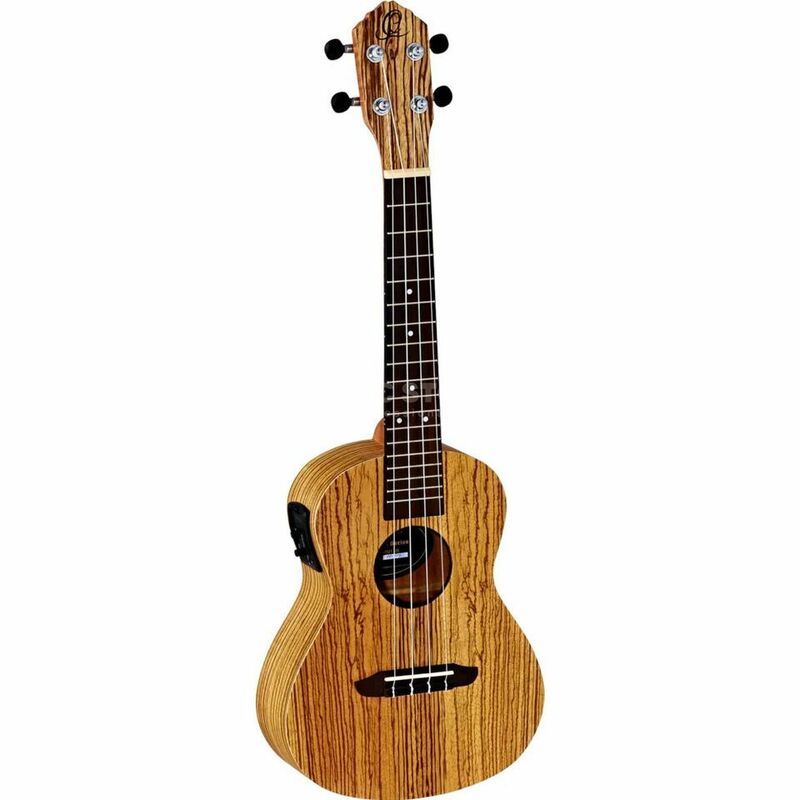 The Ortega RFU11ZE Concert Ukulele Zebrawood is a concert ukulele made from zebrawood with a UK-3 Pickup, and includes a gig bag and satin matte finish. The RFU11ZE is from the Ortega "Friends" Series, made from highly figured, outstanding zebrawood and a new Ortega ukulele bridge for easy string change and perfect tune. With indirect single tuning machines, and equipped with Aquila strings, this concert ukulele comes with an active preamp system and built-in chromatic tuner. Electronics: ORTEGA MagusUke ukulele preamp system with built-in tuner.